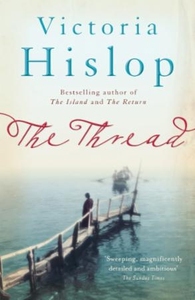 The enthralling novel from the million-copy bestselling author of THE ISLAND and THE RETURN. Thessaloniki, 1917. As Dimitri Komninos is born, a devastating fire sweeps through the thriving Greek city where Christians, Jews and Muslims live side by side. Five years later, Katerina Sarafoglou's home in Asia Minor is destroyed by the Turkish army. Losing her mother in the chaos, she flees across the sea to an unknown destination in Greece. Soon her life will become entwined with Dimitri's, and with the story of the city itself, as war, fear and persecution begin to divide its people. Thessaloniki, 2007. A young Anglo-Greek hears his grandparents' life story for the first time and realises he has a decision to make. For many decades, they have looked after the memories and treasures of the people who were forced to leave. Should he become their next custodian and make this city his home?